Win 15 times more with Today’s Enhanced Offer 15.00 (14/1) for the Premier League at Paddy Power! Open a new account and place a simple bet of £10 on Tottenham, Southampton and Man City all to win their respective matches this weekend – the first round of the 2016/17 Premier League season. 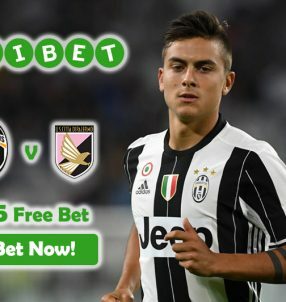 Bet with Today’s Enhanced Offer 15.00 (14/1) before 15:00 BST this Saturday (August 13) and scoop more than at any other online sportsbook! 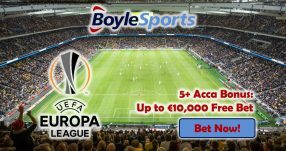 The Spurs 2.50 (6/4) will face Everton 2.87 (15/8) at Goodison Park, while Southampton 1.83 (5/6) will host Watford 4.50 (7/2) and Man City 1.22 (2/9) will play Sunderland 13.00 (12/1) at the Etihad. 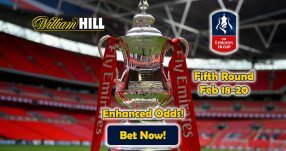 If your bets win with Today’s Enhanced Offer, you’ll receive the winnings in cash based on the standard price at Paddy Power, while the rest of the funds will be paid in Free Bets that will take the overall winnings to 15.00 (14/1). The Spurs had a great run last season, as for a while they were the only side challenging eventual winners Leicester City, however towards the end of the 2015/16 campaign they relinquishes the second spot to cross-town rivals Arsenal and had therefore had to settle for third place on the table. Spurs boss Mauricio Pochettino seem unfazed by all the big spending their Premier League rivals are doing, as it signals their discontent with the players they’ve got in their squads. 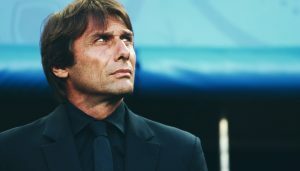 Big spending Man City and Man United had grabbed all the headlines this summer-transfer window for making multiple marquee signings that could very well see them clinch the Premier League title next season. The former is the favourite for the crown 3.10 (21/10), while the latter is the underdog with odds of 4.50 (7/2), per online sportsbook Paddy Power. 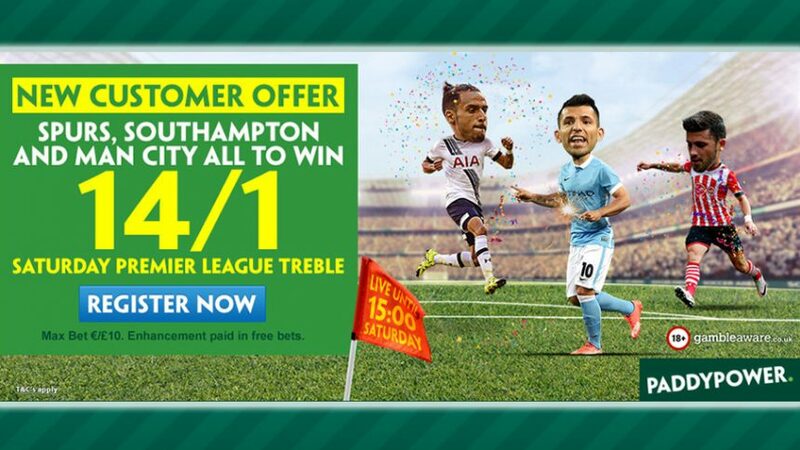 Make a bet on Spurs, Southampton and Man City all to win in their opening games this weekend with Today’s Enhanced Offer 15.00 (14/1)!